Flowering in unison, this blue and purple blend provides tons of rich color to the late-spring landscape. 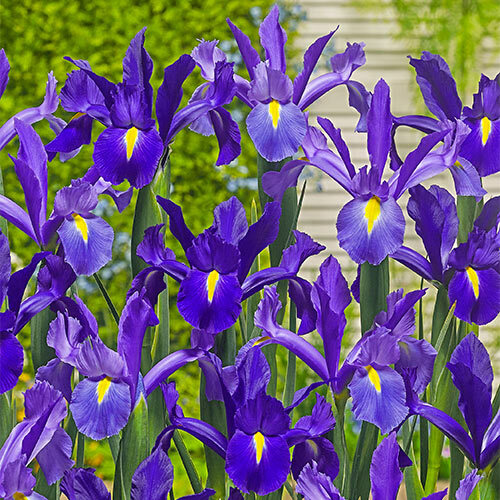 Frilled blooms with that distinctive iris form keep coming until early summer, producing plenty for the garden and vase. Easy to grow and perennializes well, reappearing in greater number for years to come.